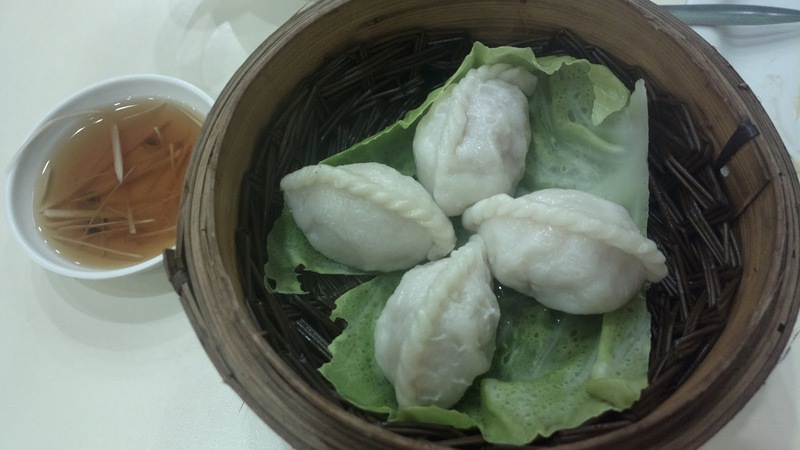 If you're craving for Chinese dishes without the need to book at fine dining restaurants and pay for expensive meals, then try the delicious yet affordable dimsum and other meals from Suzhou Dimsum. Based on the poster below (found at one of their branches), the restaurant finds its roots in Suzhou, a city found in Shanghai, China. 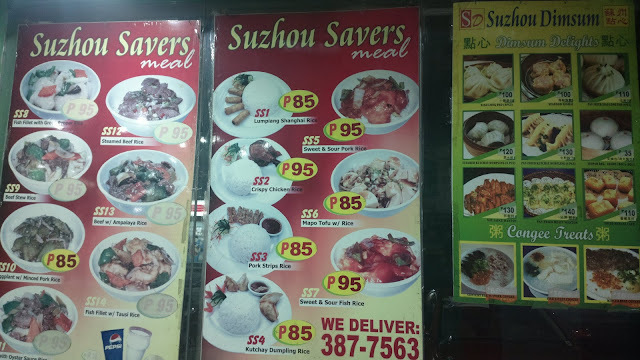 The posters below shows some of the dishes available in their menu with prices included. 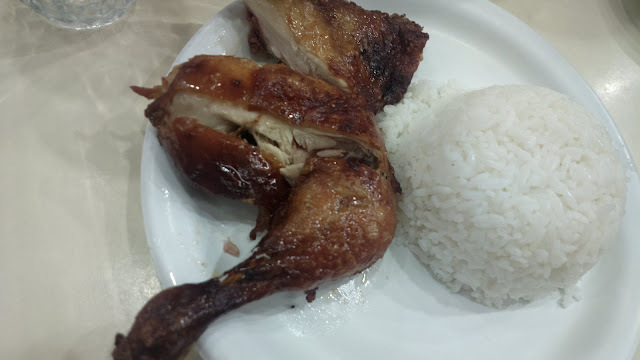 The dishes we sampled include the usual roasted type chicken, chop suey (because I wanted and was craving for veggies, particularly broccoli at that time), and ha cao (steamed shrimp dumpling). 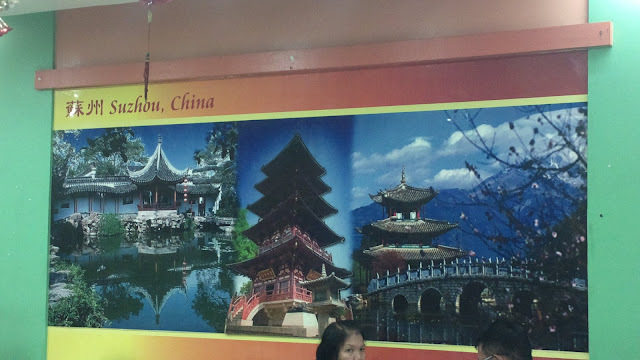 The latter was not even listed in their menu but my husband asked if they have one anyway knowing how I love this dimsum type. 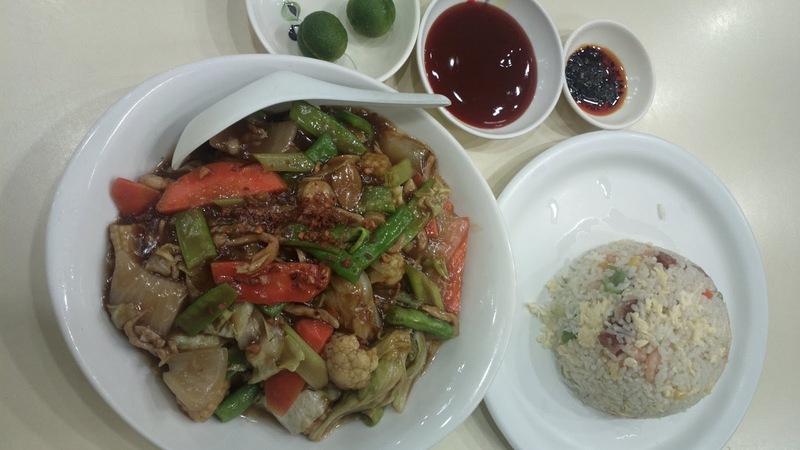 All three dishes are delicious but affordable although I still consider Wan Chai's as the the best ha cao I've had tasted so far.